Okay, This info is from my own personal experience, and I find to be very accurate based on that. Details here are VERY IMPORTANT to know when programming the PCM, especially if the PCM is not from same vehicle as the engine. In some cases just a 1 year difference in parts will make the difference between a drive by wire system that works, and does not, and sometimes won't even throw any codes, simply won't work. Vortec 4.8 / 5.3 / 6.0 changes over the years: 1999-2002 mostly cable drive throttle. Computers used were 09354896 from 99-00, and 12200411 from 01-02. Both of these had red/blue computer connectors. Both the 99-02 PCM's will work with early DBW or DBC. Drive by wire throttle bodies 99-02 had two electrical connectors, one on each side (2 pin on passenger side, 6 pin on drivers side) I have seen drive by wire in some SUV's in 2000-2002 5.3 and 6.0 applications. 2003 ALL Pickup trucks and SUV's switched to Drive By Wire throttle, and the throttle body changed to a single 8 pin connector on passenger side. The computers used 2003 - 2007 had green/blue connectors. Express van's started getting the Vortec Gen 3 family of engines in 2003, and stayed with CABLE throttle through 2006. See below list of computers from 2003 to 2007 by Service. No. located on white sticker on PCM. Vortec 4.8 / 5.3 differences: GM used a shorter stroke crankshaft in the 4.8L and a longer connecting rod. 99 to 03 or so, the 4.8L's all had completely flat top pistons. 5.3L's had a slight dish. However, after about 2004 sometime, the 5.3L's could have true flattop's. So really the BEST way to tell is measure stroke, or casting number on crankshaft. Of course if you are standing in-front of a vehicle, you can look at the VIN#. 8th digit is the Engine, 10th digit is the year. T = 5.3L LM7, V= 4.8L LR4, Z = 5.3L L59 Flex Fuel (1999 to 2007) Typically 1999 to 2002 were cable driven throttle bodies, however, some did get drive by wire as early as 2000 I have seen. 1999-01 4.8/5.3 Had EGR, 2002+ did not have EGR. 2002 most used a factory block-off in the intake. After 2003, all intakes should be cast shut in the EGR tube area. Vortec 6.0L differences: 1999 to 2000 6.0L's were all iron headed. Also the crankshaft flange extends out away from the rear engine cover by an inch or so. These two year 6.0L's WILL NOT bolt up to 4L60E transmissions from 99+ Trucks due to lengh of crankshaft flange. Starting in 2001, all 6.0L's switched to aluminum heads with the '317' casting in the corner. Also the crankshaft flange is now almost flush with the rear engine cover. 2001+ 6.0L's that were mated to 4L80E's will have FLAT flex plate and will have a spacer between flex plate and crankshaft. The LQ9 6.0L was now also available in high end vehicles such as the Silverado SS, Caddy Escalade. The LQ9 sported flat top pistons to raise compression, and the LQ4 had slight dish. Both engines used the same 317 casting. You can also look at VIN number, 8th digit U = LQ4, N = LQ9. 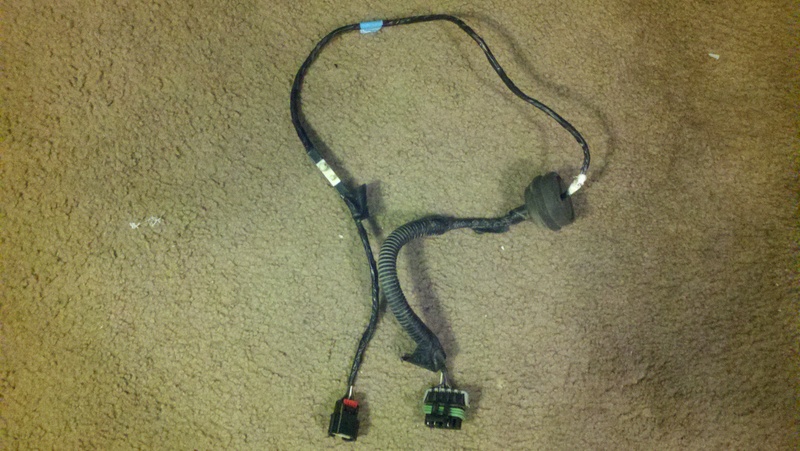 2001 - 2002 6.0L's mated to 4L60E will all be drive by wire, using a throttle body with two electrical connectors, using red / blue colored PCM connectors. 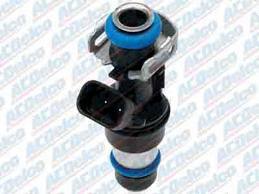 Fuel injector flow rate is very important to have programmed correctly in your PCM. Find a small 8 digit number located on side of each fuel injector. Here is the breakdown. 12613412, 12609749 - used in 2010+ Flex Fuel engines, these are drop in high flow injectors, that fit the rails on the 4.8/5.3/6.0 non flex fuel engines. (same injector height). These are 50lb/hr injectors. Good performance injector, and CHEAP on eBay. These do use the EV6 connector, like the L59 injector. Drive by wire I have seen in 2000 model year 5.3L. None before that so far. It was used in the Corvette back in 1997, but I'm sticking to TRUCK info here. The TAC module HAS TO MATCH pcm fairly close. The 99-02 TAC MUST be used with a 99-02 PCM and proper operating system in the PCM, same goes with the 2003+ TAC. I have found the same TAC module was used in the 2003 to 2005 pickups. 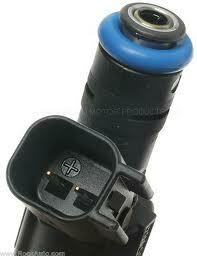 2006 The TAC module part# changed, and was used with a different gas pedal as well. 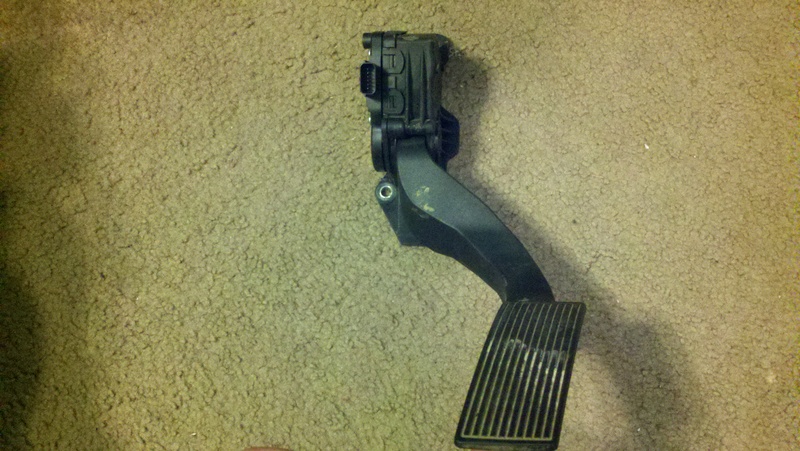 The 2006 gas pedal harness will have a large 10 position connector on one end (6 pins used) and a smaller 6 position connector on the gas pedal end. The 2006-07 TAC module must be used with a PCM programmed for proper 2006-07 operating system. There is an 8 digit number below the barcode of the 2003+ TAC module. 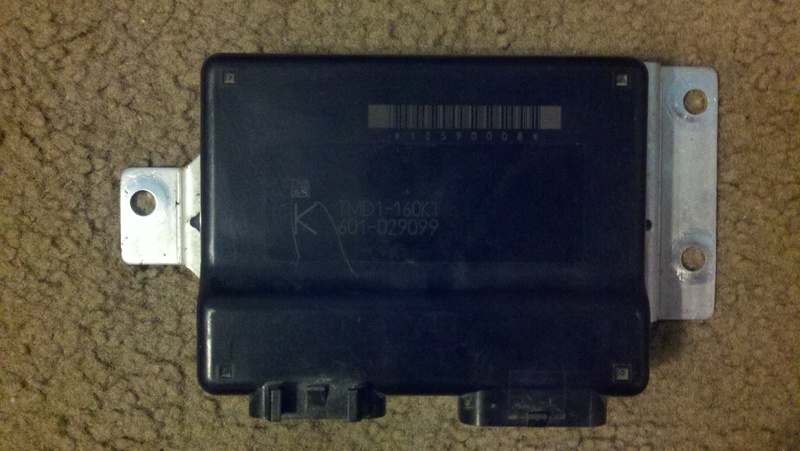 2003-2005 TAC # 12573058, 12588923 <= should both be compatible for 03-05 pcm's. I have used the 12573058 all 3 years no problems, not sure on the 12588923.